in the years 1755 and following. included as well, as not everybody has eyes that sharp ! 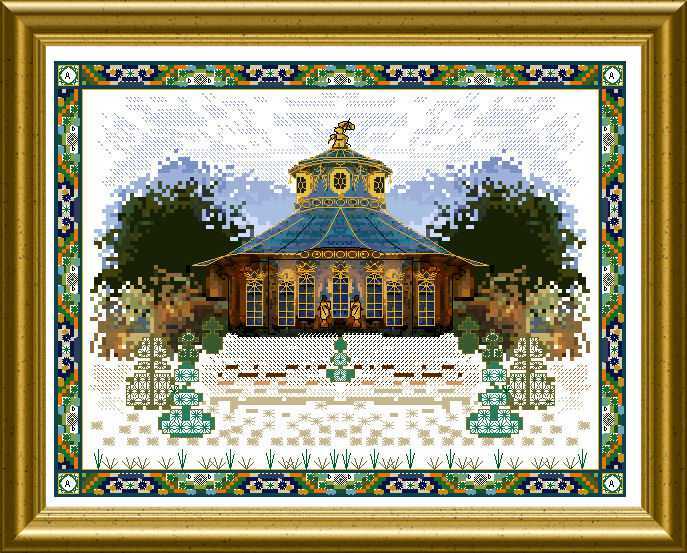 It is a true mixed media embroidery which by the added Special Stitches and emphasizing backstitching will produce dimension and perspective. 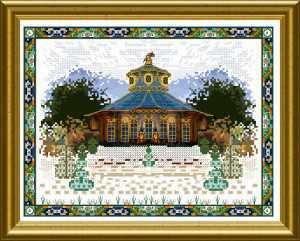 Mere design size of this piece is 143 x 109 stitches including the ornate frame. I would love to buy this but would like to see a materials list first. Is there any way I can see one? I really love this design.